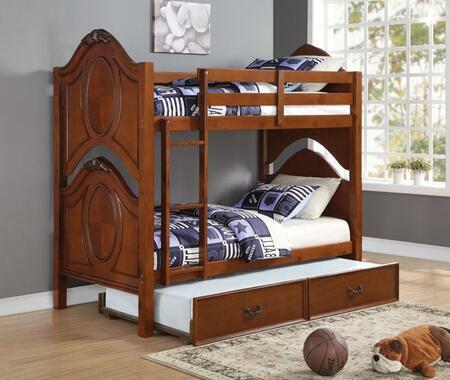 $465.04 - American Furniture Classics 2111-TTH Twin Over Twin Size Bunk Bed with 3 Underbed Drawers Honey - 64 x 79 x 41 in. 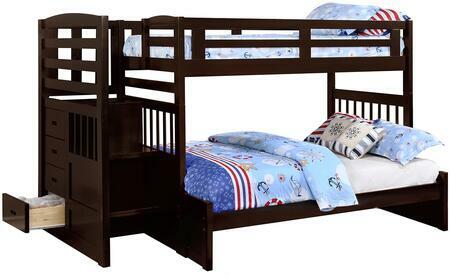 Home Furniture>Bedroom>Bunk Beds American Furniture Classics 2111-TTH Twin Over Twin Size Bunk Bed with 3 Underbed Drawers Honey - 64 x 79 x 41 in. 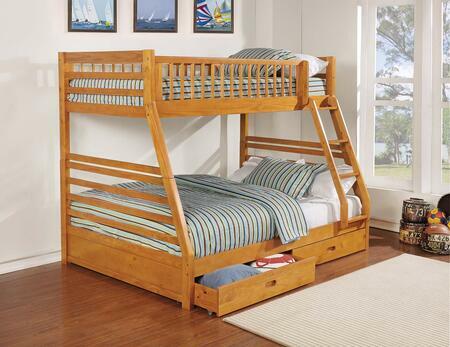 American Furniture Classics 2111-TTH Twin Over Twin Size Bunk Bed with 3 Underbed Drawers Honey - 64 x 79 x 41 in. 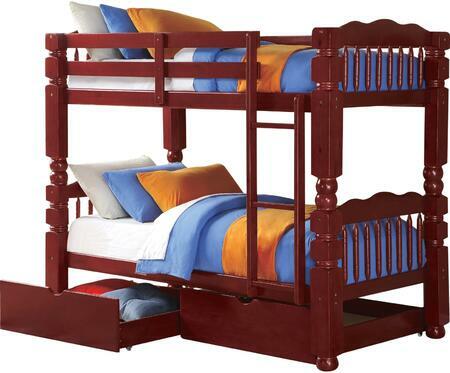 This twin over twin size bunk bed in a rich provides plenty of sleeping area and storage while taking up very little space. This unit is constructed of solid wood and is ready to assemble. 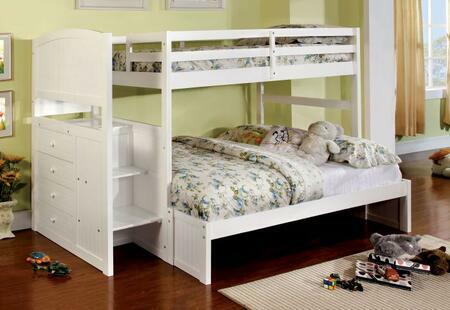 The three-drawer under-bed unit provides ample space for storage. 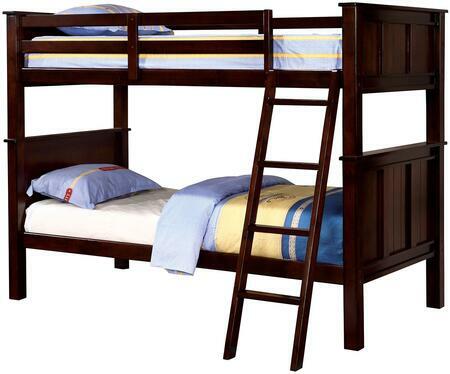 American Furniture Classics 2111-TTHM Twin Over Twin Size Bunk Bed with 3 Underbed Drawers & Two Mattresses Honey - 64 x 79 x 41 in. 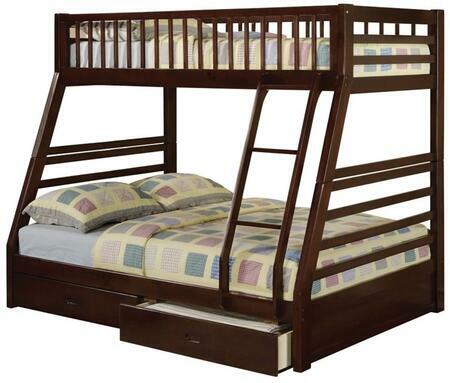 This twin over twin size bunk bed in a warm provides plenty of sleeping area and storage while taking up very little space. 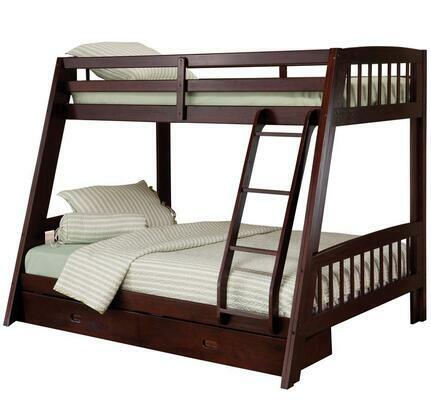 This unit is constructed of solid wood and is ready to assemble. 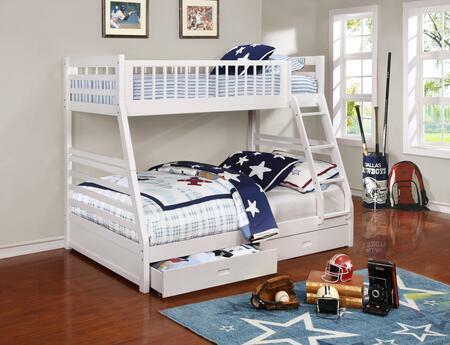 The three-drawer under-bed unit provides ample space for storage. 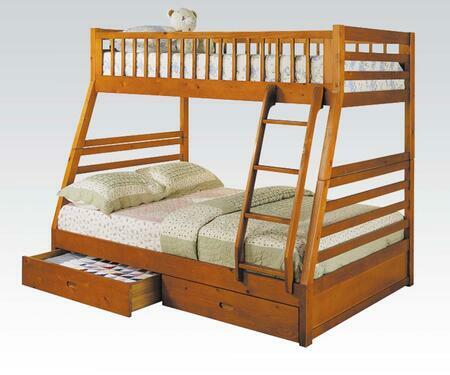 Included are two twin mattresses. 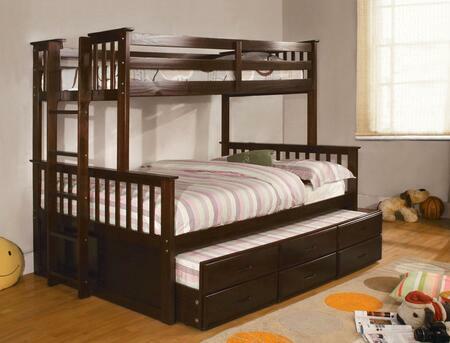 American Furniture Classics 0210-TTWM Twin Over Twin Size Bunk Bed with 3 Underbed Drawers & Two Mattresses White - 64 x 79 x 41 in. 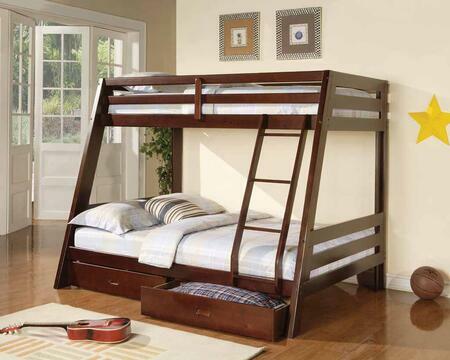 This twin over twin size bunk bed in a casual provides plenty of sleeping area and storage while taking up very little space. This unit is constructed of solid wood and is ready to assemble. The three-drawer under-bed unit provides ample space for storage. 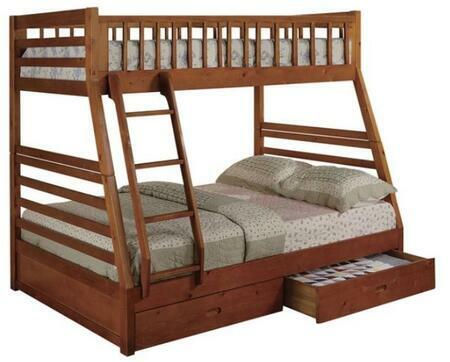 Included are two twin mattresses. 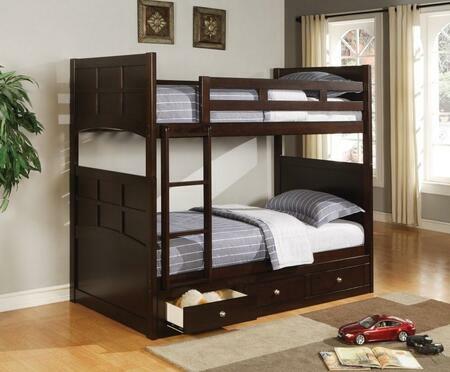 American Furniture Classics 2918-TFE Twin Over Full Size Bunk Bed with 3 Underbed Drawers in Espresso Espresso - 67 x 78 x 57 in. American Furniture Classics has 75 years of experience in the furniture arena. Our line of products is carved out of high-quality solid material which matches your own requirement. Our skilled craftsman and designers are keen about providing excellence and innovation in crafting beautiful and unique furniture. We understand the modern craft and combine our functioning with the latest digital technology to offer the best products. 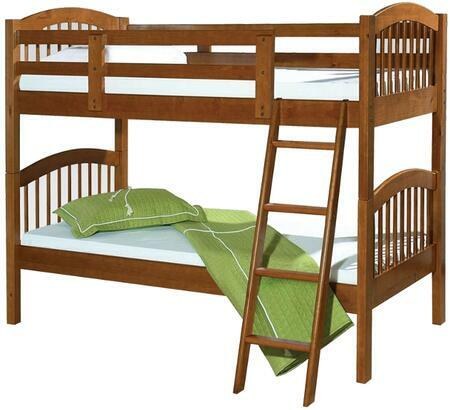 American Furniture Classics 0210-TTW Twin Over Twin Size Bunk Bed White - 64 x 79 x 41 in. 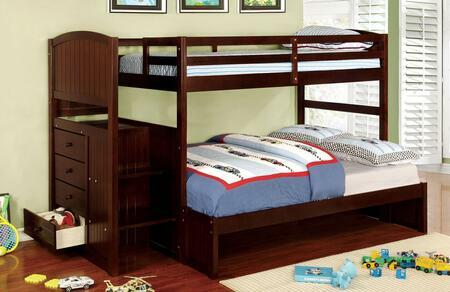 This twin over twin size bunk bed in a casual provides plenty of sleeping area and storage while taking up very little space. 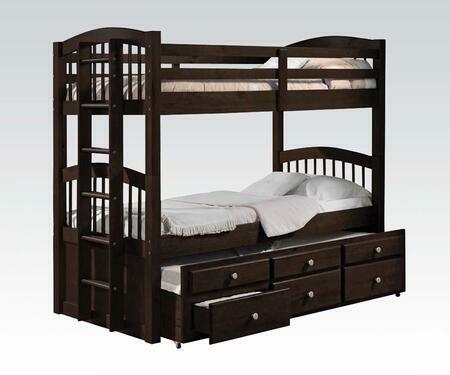 This unit is constructed of solid wood and is ready to assemble. The three-drawer under-bed unit provides ample space for storage. 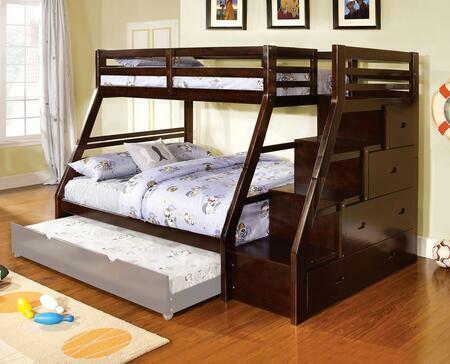 Add style and function to your children's bedroom with this twin-over-twin staircase bunk bed in a rich honey finish! The ready-to-assemble unit features a built-in four-drawer chest and reversible staircase magazine rack and three-drawer under-bed storage unit. The stair treads are 17.25 wide for a safe climb to the upper bunk. 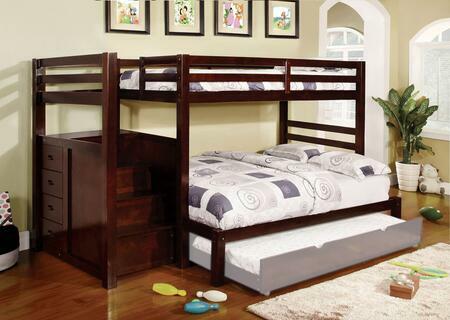 Quality with solid-wood construction makes this bunk bed a great buy.